Candlewood Suites Extended Stay Hotel Colonial Heights Near Ft. Lee, Virginia Consider Us Home at the Candlewood Suites Extended Stay Hotel Colonial Heights - Fort. Lee, Chester, Petersburg, and Richmond, VA. The Candlewood Suites Colonial Heights Fort Lee is a member of the IHG family of brands including InterContinental, Crowne Plaza, Hotel Indigo, Holiday Inn & Staybridge Suites Hotels. Specializing in extended stays, Candlewood Suites are the perfect choice for government (per diem), project teams, training, relocation, temporary or corporate housing needs. Our Candlewood Suites hotel is centrally located at exit 58, off I-95 near I-85 & I-295; minutes from Fort Lee, Chester, Petersburg & Richmond, VA business & real estate districts. Our location offers access to Wathal Industrial Park, Meadowville Technology Park, Honeywell, Dominion Power, Phillip Morris, Dupont, SRMC, Xymid, Sunchem, Northrup Grumman, LMR, Fort Lee and Defense Supply Center. The Candlewood Suites hotel offers apartment-style suites with all the conveniences of home to suit your extended stay or short-term hotel or real estate needs. Our pet friendly hotel (fee) offers studio or one-bedroom suites featuring fully equipped kitchens, spacious living & work areas, TVs with DVD players, free high-speed, wired & wireless Internet access. Other features include Candlewood Cupboard, business center, free self-laundry facility, a fitness center & BBQ. 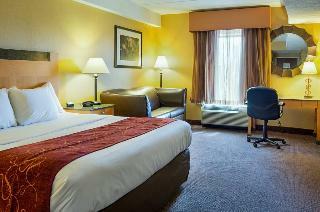 A pleasant hotel in Colonial Heights that is great for both business and leisure. Located on an exit off Interstate 95, the hotel is close to the VA Motorsport Park, the Sycamore Rouse Theatre, Beacon Theatre, Fort Lee Military Base, the Petersburg Historical Battlefield, Richmond Zoo, the Virginia Sport Complex and South Park Mall. Guests staying at the hotel can enjoy the nearby shops, restaurants and sporting activities that include golf and tennis. The hotel also has its own outdoor pool. 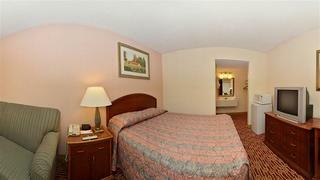 Guests are offered a free breakfast, free press on weekdays, free local calls and free Wi-Fi. There is a fax and copy service for business travellers as well as a guest laundry and plenty of parking for cars, RV's and trucks. The large rooms are well prepared with a desk, cable television, refrigerator and microwave and hairdryer, some also have coffee makers. Conveniently located next to South Park Mall. Rooms with whirlpools and Lake front views.